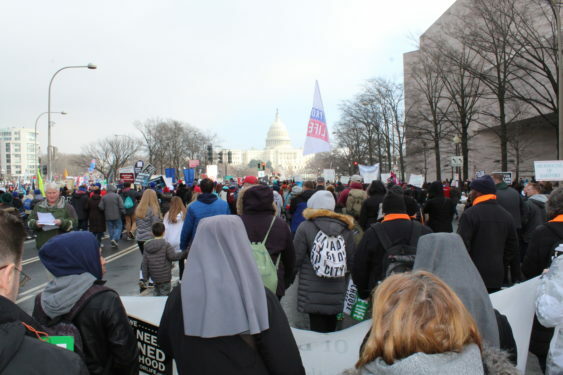 About 300,000 people marched in the 46th annual March for Life in Washington D.C. Jan. 18. 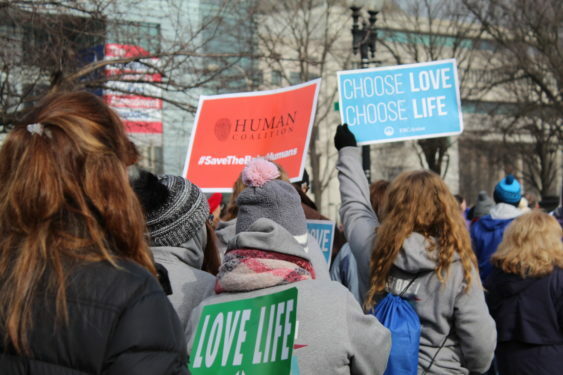 With strong demands, parish groups, students, pro-life organizations, groups of other religious affiliations, representatives of different embassies and groups of families came to the march. They joined in a single voice to cry out for respect for the sacred gift of life. At the beginning of this event, the crowd was concentrated on the National Mall on 7th Street between Madison Drive and Jefferson Drive. By 1 p.m., when the opening speeches concluded, walkers headed toward Constitution Avenue, where the march officially started. On the way to the Supreme Court, walkers raised their banners to urgently call on legislators and demand a reversal of the 1973 ruling that decriminalized abortion, citing women’s rights, their privacy and personal freedom. Despite 11 hours of travel on the same day – while many others had stay behind to tend to their work or academic obligations – hundreds of parishioners and parish leaders from the Diocese of Brooklyn went to the capital to be present in this tireless struggle for life. 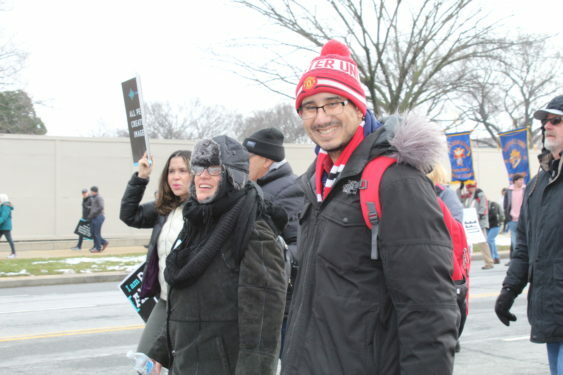 About 450 people from the diocese participated not only in the march, but also in the morning Mass for Life at the Basilica of the National Shrine of the Immaculate Conception and other activities surrounding the event, according to Christian Rada, the diocesan director of marriage, family formation and respect life education. “The important thing here is that people of different faiths are a testimony so that life is sacred and each person is unique and irreplaceable for God. It’s wonderful to see these people coming from all over the United States to protect this right,” said Rada, who hopes that Roe v. Wade will be overturned and that this march will no longer be necessary. 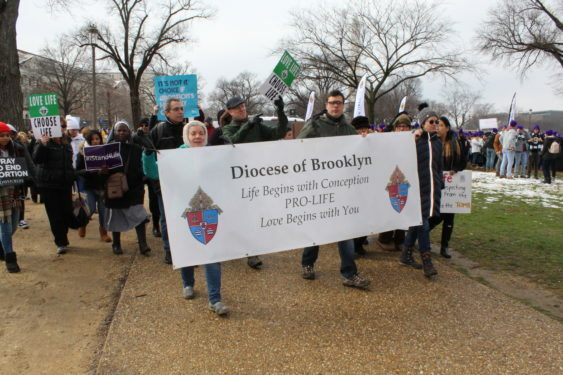 Some attendees at the march, like those from Brooklyn and Queens, began their journey to the capital via chartered buses from parishes early Friday morning. 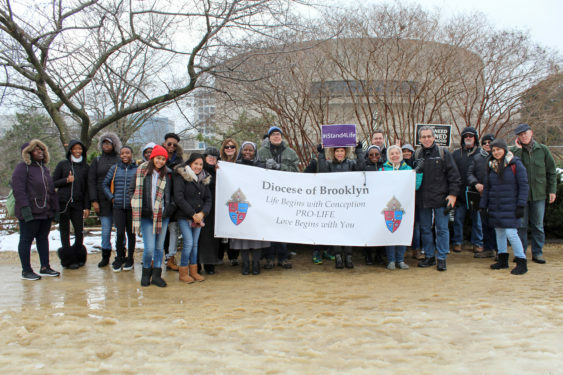 The diocese awarded some scholarships as an incentive for more parishioners in Brooklyn and Queens to participate in this campaign in defense of life that has reached 38 states as well as Canada, where other marches are held to make same call: respect life from the moment of conception. “This moment is very important for us, and that is why we especially encourage young people to come,” said Evelyn Muñoz, who leads the youth ministry at St. Teresa Parish in Woodside, and Queen of Angels, Sunnyside. She brought a group of 18 people to the march. All talk and no action! Cardinal Dolan and Dimarzio have the ability to ex communicate people like Cuomo and Gillibrand who are for killing the unborn. They should be ex communicated. Instead the feckless Cardinal and Bishop do nothing!